The team at estate agents, Your Move, are celebrating following the re launch of their website which, as well as being more modern and contemporary in appearance, is more user friendly and appealing to those looking to buy, sell, let or rent locally. The website – www.your-move.co.uk – which is the most visited estate agency website in the UK today – has been re-launched to complement Your Move’s new branding and also offers an array of special features and information that have been designed with the needs of existing and potential customers in mind. As well as the site now being accessible on all mobile devices, for example, sellers can now benefit from an updated My Move file which highlights what interest has been shown in their property and then, when an offer is made, what progress is being made during the selling process. This is already proving popular with 27% more people registering for a My Move account compared to the week before the re-launch took place. As well as this, buyers have the advantage of being able to view Your Move properties across the UK in a much easier way with any previous ‘searches’ saved for quick and easy reference in the future. Again this is already proving popular with 36% more property viewings arranged in the week following the re-launch. There’s also comprehensive support for landlords and tenants as well as details about the new Your Move landlord and tenant portal – a free online tool that helps in checking the progress or current circumstances of a let online with details readily available about rental payments, outstanding maintenance issues as well as an array of useful information that landlords and tenants have highlighted is important to them. Each Your Move branch also benefits from a dedicated branch page on the website which introduces the local team, the services they offer and highlights features about the local area which are considered useful to those moving there – it’s like a mini website for each branch. 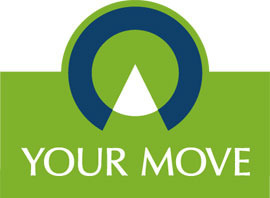 The new look Your Move website can be accessed via www.your-move.co.uk and – up until 31 May 2015 – there a chance to win £1,000 by visiting the website and then telling Your Move about your favourite property on it. Simply go to www.your-move.co.uk/win for details.